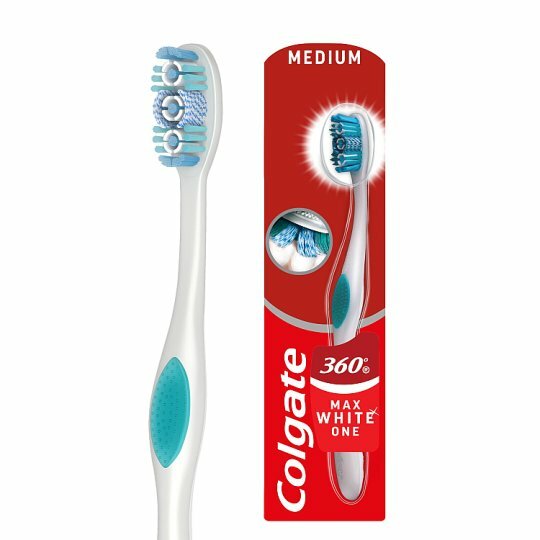 Show off a naturally whiter smile with the Colgate® 360° Max White One Toothbrush. Its whitening cups hold toothpaste to help remove surface stains and its polishing bristles help to clean those hard-to-reach places. 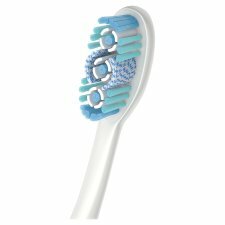 It also features a cheek and tongue cleaner to remove odour-causing bacteria and give you maximum whole mouth freshness. Use Max White One toothpaste to get one shade whiter teeth in one week.